It’s becoming a bit of a Christmas tradition…! 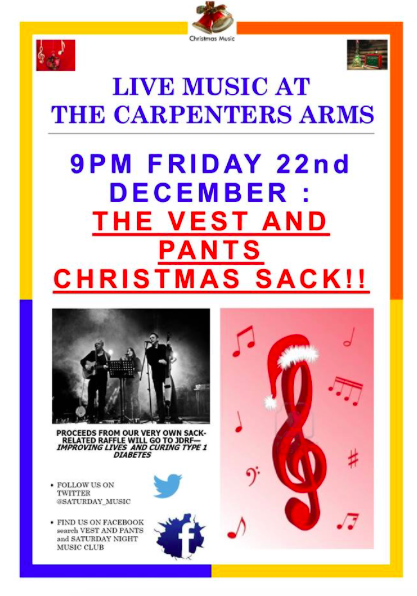 The last Friday evening before Christmas – MAD Friday – has to be spent at the Carpenters Arms in Tickhill, where Vest and Pants do their Christmas set! This year was no different. As always, the pub was packed, the beer flowed and the tunes rang out! 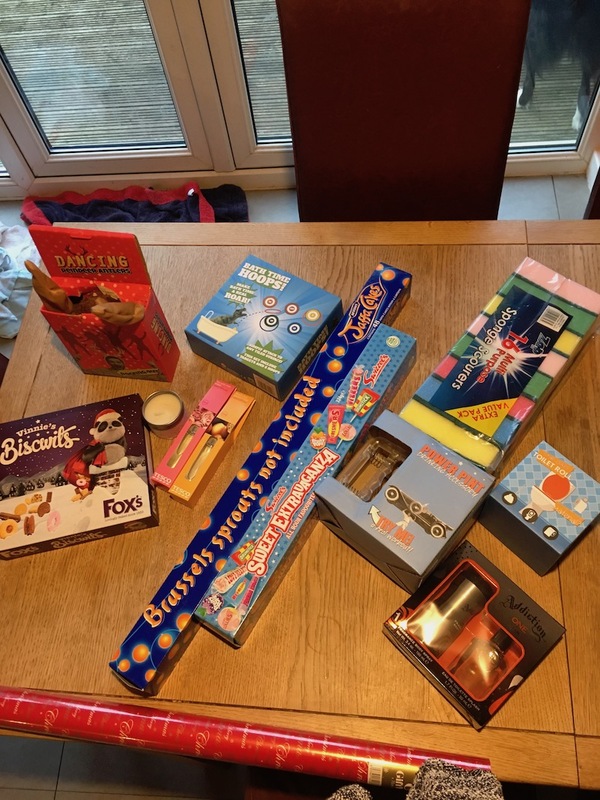 We also ran the ‘traditional’ raffle – the Christmas Sack o’ SH*TE…!!! In one way however, it was different. One very good way. Thanks to all the generous donations throughout the night, we managed to raise over £450 for JDRF – Amazing! That’s more than twice as much as we have managed in the past, and it all goes directly towards finding a cure for Type 1 Diabetes in Children. Thank you to all those who donated prizes or bought raffles tickets, and of course special thanks to Vest and Pants for playing, and to the Carpenters Arms for hosting!